Fees associated with filing industrial design applications in Indonesia, as well as other design fees, are available in the fee calculator. An industrial design application claiming priority should be filed within a six-month period from the priority date. It is possible to restore the deadline within three months. - priority data, if priority is claimed. A design application in Indonesia may be filed for one design or a set of designs. A signed Power of Attorney should be filed within three months from the filing date. If an application is filed by a person other than the designer, it is necessary to provide a notarized and apostilled Assignment Deed between the applicant and designer. The Assignment Deed may be filed simultaneously with the application or within three months from the filing date on condition that a surcharge is paid. A legalized copy of the priority document and its translation into Indonesian should be submitted no later than within three months from the filing date. Design applications in Indonesia are subject to formalities examination. Next, an application is published for a three-month opposition period. Substantive examination is carried out within six months from the end of the opposition period only in case any opposition to an application is filed. The novelty grace period in Indonesia constitutes six months prior to the filing date or the priority date if priority is claimed. No official grant fee is stipulated. Industrial designs registered before the Indonesian IP Office are valid for 10 years. Renewal is not available, thus, maintenance fees are not applicable. 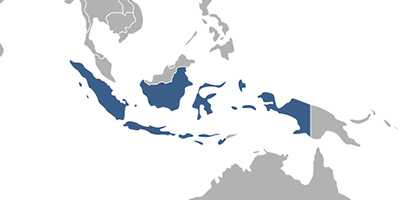 Applicants residing out of Indonesia should perform design registration through an agent, a registered Indonesian patent attorney. Online Database for Indonesian Industrial Designs Search.